The PADI Drysuit Specialty Instructor course will give you valuable teaching tips and will help you become a better educator. Teach more of what made you want to become a diving instructor. Drysuit diving is especially in demand in Quebec, where we take annual ice diving trips. Also, many of our clients try on drysuits during their Open Water training, which gets them excited about getting their full drysuit license. 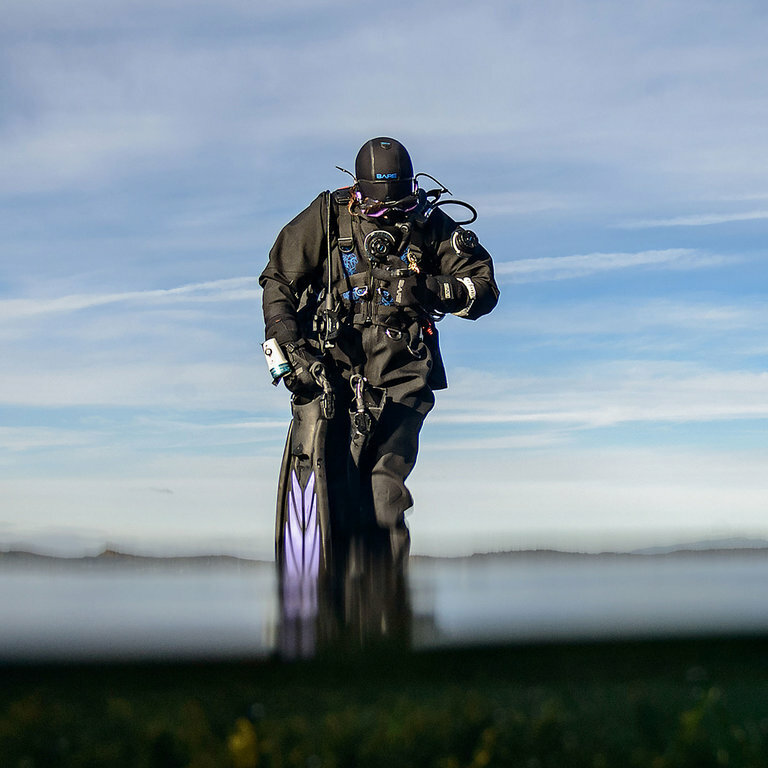 The Drysuit Diver Specialty Instructor course covers how to organize, promote, and conduct the PADI Drysuit Diver specialty course. You’ll learn how to emphasize the value of this specialty to your divers, as well as how to give a great course. By learning standard procedures, site depts, training considerations, equipment requirements, and performance requirements, you’ll be able to teach this course in no time. PADI Open Water Scuba Instructors are able to take this course. Some OWSI/IDC candidates may participate in this training, but can only apply for their certification after passing an IE. Instructors looking to take this course must have logged some drysuit dives, and a minimum of 10 dives must be completed as course exit requirement. This course usually begins with a classroom session, followed by a training dive. To gain your certification, you have to demonstrate confidence of all knowledge development and water skill performance requirements, conduct a teaching assignment, and more. Getting started on your Drysuit Specialty Instructor course might seem difficult without a bit of help. Let our staff at Total Diving help get you on the right path so that gaining this certification is easy and painless. Make an appointment to stop by so we can discuss your future.